It's time for another Moms of Master Books review. This time, it is for a new, revised version of a book we already own. The newer books have a feature I really, really love. 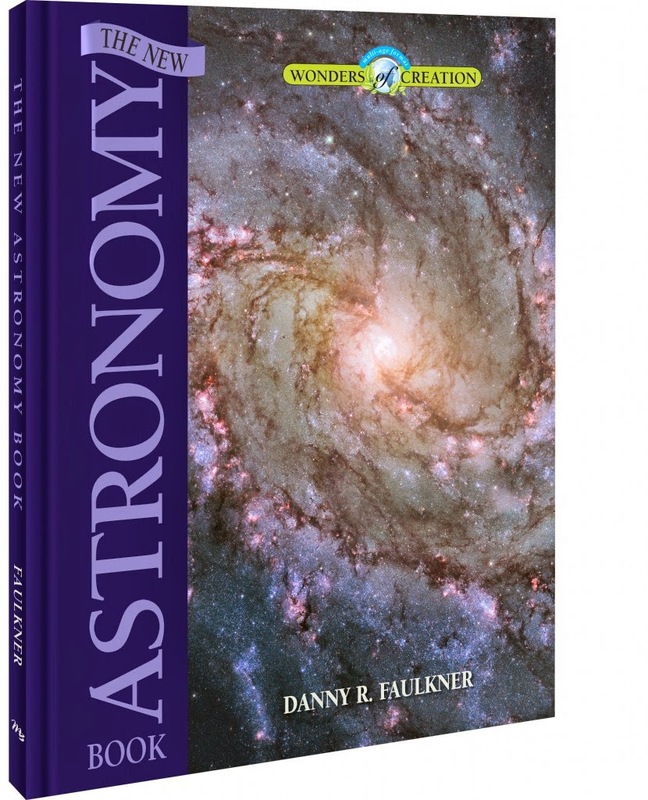 And seeing this, The New Astronomy Book, by Danny R. Faulkner, reinforces to me just how much I love the new feature. That is -- there are different colored backgrounds for different "age levels" of material. Theoretically, that means I can go through the book with all of my kids, but have the younger ones drop out as I add more complex information. Or, I can go through the book multiple times with the same child, just adding a new colored background as they get older. Level One is on an off-white background, and is "basic" information and visuals. This is great for elementary ages, I think. Level Two is on a purple background, and gets into more vocabulary and deeper information. This is great for middle school ages. Level Three is on a blue gridded background, and has more advanced concepts/theories, and is meant to inspire students to dig deeper into other sources too. This is great for high school ages. For my family (of science geeks), the 3rd grader (and least science geeky of us all) is good with the Level One material, and she really doesn't care to get any deeper. So for chapter 5, for instance, on the sun, she learned about fusion vs. fission. Pretty much everything else in the Level One material was information she already knew (because she is surrounded by science geeks). The 5th grader is good with the Level One and Level Two material. Level Two adds information about the idea of gravitational potential energy (that was new for me too!) and information about sunspots. The teens (8th grade and up) are all ready for the Level Three information too. For the sun chapter, that means information about the 'young faint sun paradox' and more info on sunspots. I am hoping -- even though it will mean spending more money -- that more of the Wonders of Creation books are going to be updated to this format, as I really love it. Go see what other Moms of Master Books have to say about The New Astronomy Book. There is a Book and a Treat Facebook party coming up tonight, September 30 at 7 pm Central Time, where you could win cool prizes -- and discuss the series too.